We eat chocolate every day, it’s a part of our after dinner routine. Usually 2 squares each then off we go on our 5 km walk. We do this walk every Sunday to Thursday. It is a nice way to help digest our dinner, lower my hubby’s blood sugar and chat about our day. We usually walk in all kinds of weather except for pouring rain. Freezing cold days are not my idea of fun but at least we can bundle up, but the rain? Nah that chills you down to the bone. We have however be caught in a few terrific downpours in the middle of a hot summers walk. Those walks are ok especially if it is stinking hot. Then the rain is a huge relief. These cups are so decadent I have to admit I am hoping my kids get into them before my will power shrivels up and dies. They are a great combination of two of my favourite things peanut butter and chocolate. The beauty of this recipe is you can really control how sweet you want the chocolate and how you want to sweeten it. I used Agave Nectar but you could also use Stevia, honey or corn syrup. Just be mindful that will change the nutritional values considerably. Also, be careful that your peanut butter is not too oily. You should be able to scoop out a nice firm blob that doesn’t turn into a liquid in the bottom of the cup. Each cup is 3 Weight Watchers points and 2g net carbs. 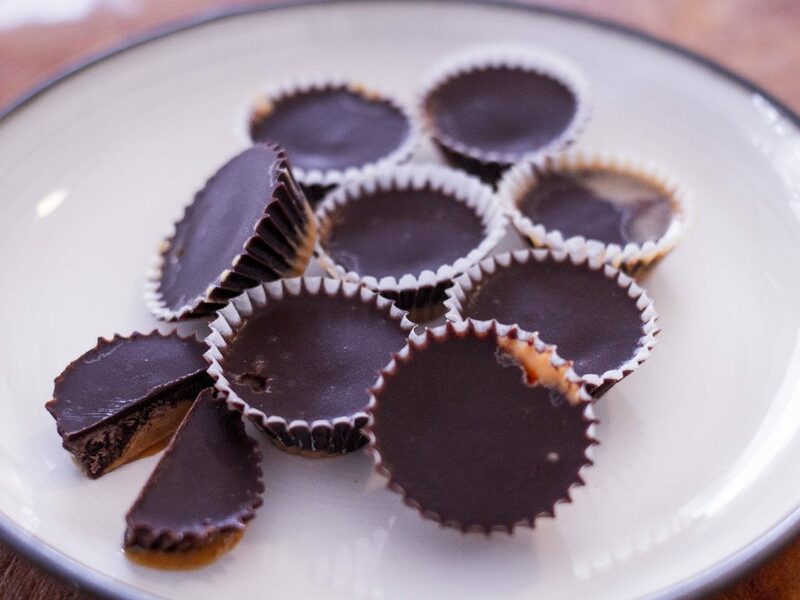 In comparison to Reese’s Cups ours are 5.6g net carbs less. 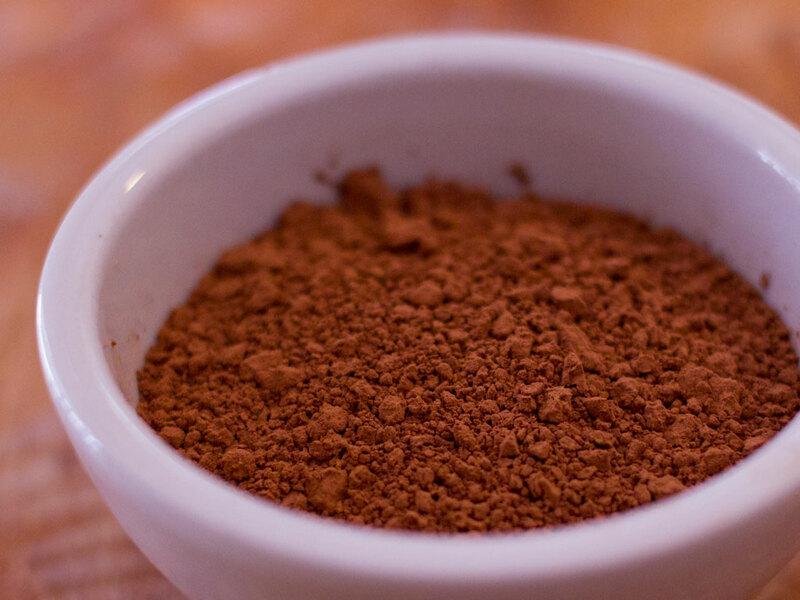 Melt coconut oil till soft and add cocoa and stir until there are no lumps. 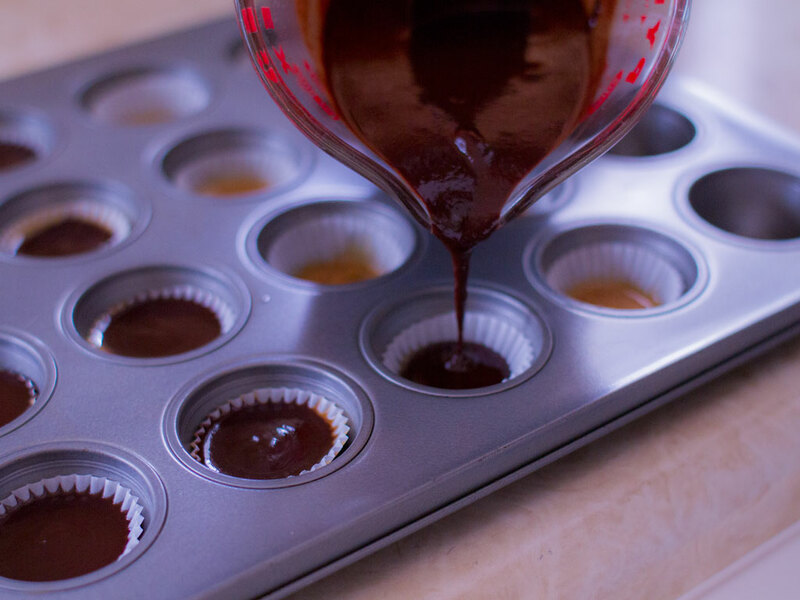 In a mini muffin tin lined with mini cupcake papers place 1 scant tsp of peanut butter into each cup. Place in freezer until chocolate mixture is ready and cooled slightly. Pour slightly cooled chocolate mixture over peanut butter to cover. Refrigerate for 2 hours, or freeze for 30 minutes.